We want kids to be able to grow up in a different world. To be able to grow up where they can deal with their emotions and their traumas, and move forward. 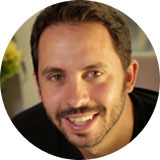 He is a speaker, author, entrepreneur, and marketing expert who has produced first-of-their-kind online programs such as The Tapping World Summit, a free annual worldwide online event that has been attended by over 2.5 million people over the last 10 years and the recently released The Tapping Solution App, which features easy to follow Tapping Meditations. Alex and The Tapping Solution team have raised over $1,000,000 for tapping-related charities such as Project Light, which aids genocide survivors in Rwanda, The Veterans Stress Project, supporting veterans with PTSD, and The Tapping Solution Foundation, which he and his siblings started in 2012 to support their community of Newtown, CT after the tragic shootings at the Sandy Hook Elementary School. He is also the author of the children’s book “Gorilla Thumps and Bear Hugs: A Tapping Solution Children’s Story” and speaks to teachers and students through his foundation on how to use Tapping to create balance, relieve stress and get better results in the classroom.